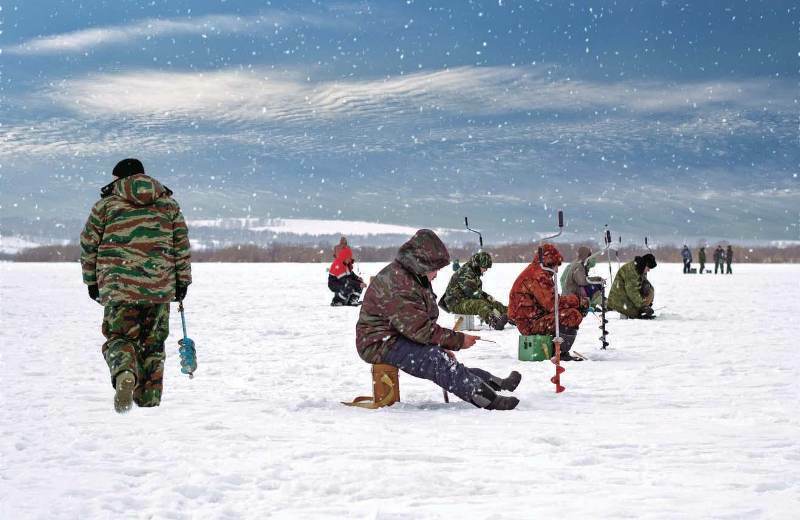 As compared to other types of fishing, ice fishing is tougher because you need to find their hiding places. Getting the best fish finder for ice fishing is the secret for a successful catch. You would not want to stay in the cold and catch nothing. 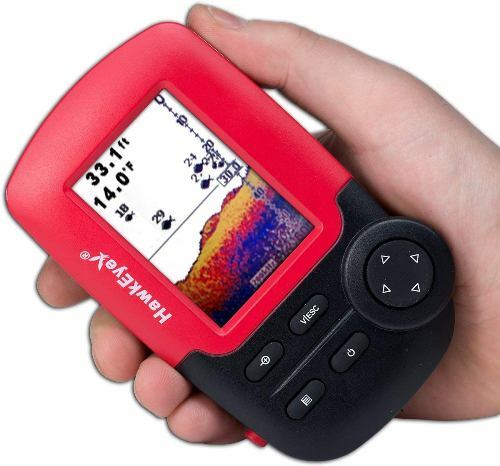 The best ice fish finder is different from other fish finders; they have unique features. You will not have a hard time monitoring what is going on under the ice if you have the best finder. For those of you who wants to jump straight to the conclusion, here is a quick recap on what we think are the best fish finders. High quality material - very durable. Big screen with 7 inch TFT color display. 3 color display, easy to identify. May be hard to read in very snowy conditions. No guessing needed, very accurate. To help you find the best fish finder, we will be reviewing 10 of the most popular fish finder in the market today, including their best features and pros and cons. We have summarized a comparison table below for your easy reference. However, it is important to note that the positions are in no particular order of importance. This is the best Vexilar for ice fishing. You might be wondering why? Let’s check out some of its amazing features. This fishing sonar includes a 12-Volt 9-amp hour battery together with a charger. This means charging the device is not a problem as you can charge it wherever you are as long as there is a power source around. The device has three-color sonar flasher - red, green and orange - to help you locate the fish. Identifying the color is easy because of its super-bright LED technology. 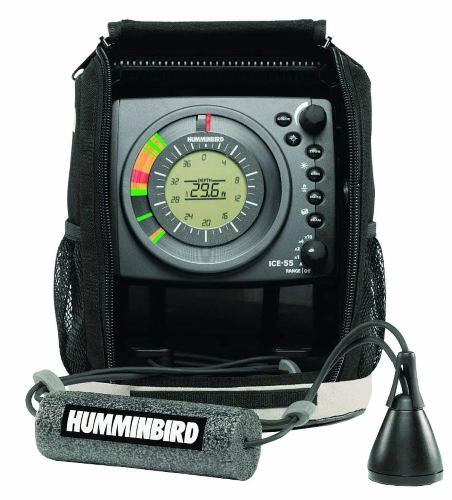 This fish finder offers six depth ranges - 20, 30, 40, 60, 80 and 120 feet. This means that you can find fishes even when they are deep underwater. The FL-18 has a patented split screen flasher display thus allowing you to zoom in 6 feet under bottom and you can watch it moves in real time. Other than that, there is a Bottom Lock feature which will lock the bottom even if there is harsh weather condition such as big waves. Battery life is longer as compared to others. 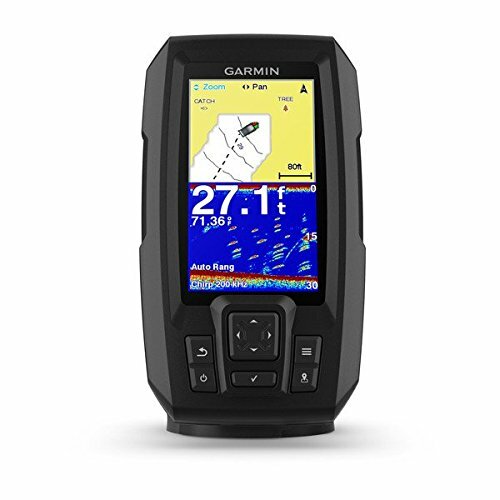 If you are looking for a good quality fish finder that will fit your budget, this Garmin Striker Plus 4 is for you. There are lots of things this device has to offer and at an affordable price. Garmin ice fishing transducer is built-in and has a flasher technology with A-scope that gives you real-time data and facts. This brand makes a quality GPS, and it has included one in their sonar, which is ideal for creating where the honey holes are for the coming season. Although it is a powerful add-on, the GPS could have been more user-friendly. But, as a fish and depth finder, the Garmin Striker Plus 4 is hard to defeat. Having the ability to mark those essential locations for memory is fantastic, but it would be a bit easier if you have a map. 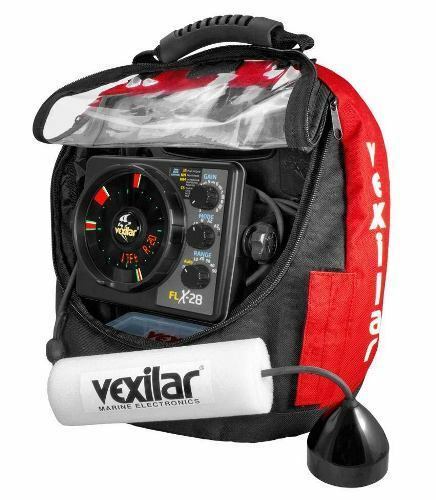 The features you find in this Vexilar fish finders are on the wish list of many professional ice anglers. Starting from digital depth, five color palettes, two zoom zones to choose from, auto range, 5-foot depth range adjustments, day and night brightness display settings, it covers everything. 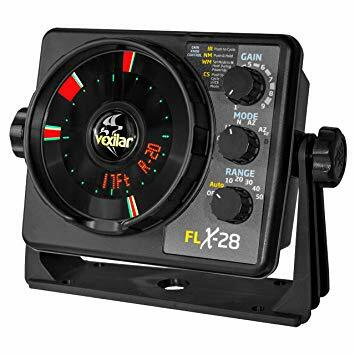 The Vexilar FLX-28 also has demo mode so you can share it with others how the unit works with the actual video on how fishes were caught. This is one of the best flashers in the market, and most of the time it can do everything without gear for ice fishing. It requires only minimal setup and a power connection. Then you can easily locate fish without too much effort. The FLX-28 screen is an old school, but it is very useful and easy to operate. The device can be used both for day and night fishing that can detect fish up to the 300-foot depth. This is the probably the most portable and handy fish finder that you can carry along while on a journey to catch the best fish in the icy water. It is convenient to use and is built with quality. You might find this fish finder somewhat similar to a retro phone or like a walkie-talkie that fits your palm perfectly. This is a dream device for ice fish enthusiasts. This device is not only portable, but it is also very functional. It gives the users the chance to see everything underneath the sea in real-time. Hawkeye Fishtrax gives you data instantaneously, and you can easily make some adjustments in the hook. The good thing about this device is that it can be combined with other add-ons and gears. It is very versatile as it can be used for various purposes and even for regular fishing on a boat. The gear works in any type of weather. 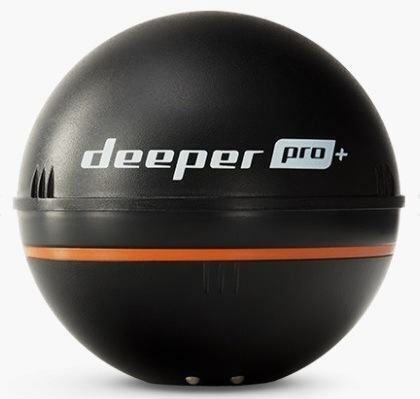 Dimensions: 6" x 3" x 2"
The Deeper Smart Sonar PRO Plus uses a Wi-Fi so you can connect with your tablet or smartphone. 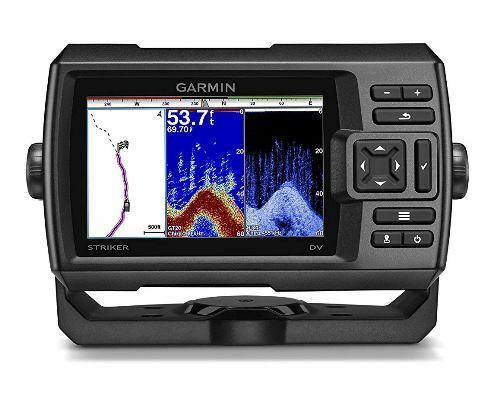 This device has a GPS mode to help you in navigating your way around the fishing area. If you are having a hard time aiming at your target, you can look for some of the best locations to catch the fishes. Many portable fish finders reviews claim this model to be the best. You can use this best castable fish finder either in salt or fresh water, which lets you try out different kinds of fishing methods. It has a dual frequency that enables you to fish in shallow or deep water. You can track the movement of the fish whether you are on the shore or boat. You can view the sonar data on your tablet or mobile devices. All you need to do is to download the apps, and you are all set. Its battery backup can last up to six hours and get fully charged in two hours. 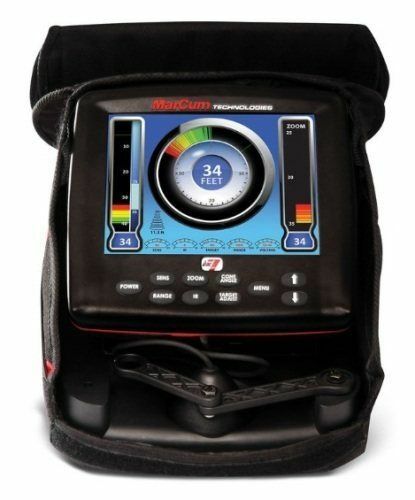 Marcum LX-7 has the largest screen in this list, and it is good for starters. It has an 8-inch LCD display which is similar to a tablet that you used for watching live streams and movies. The best thing about this device is that you can alter the settings and modify various elements to be displayed. You can view points and marks using the pinpoint accuracy. With this device, you don't have to guess what fish you can catch underneath since it is very accurate. With the half-inch target separation, you can see the location of fishes instantly. Some of the features that you will surely love include four color palettes, multifaceted sonar display, range and target select, battery voltage, displays digital depth and range and target selection. This fish finder has made fishing easier and more straightforward. It lets one share waypoints and favorite routes with friends who have their strikers. The sonar has a built-in flash and can display data quickly. It has a swivel mount, a cable and trolling motor mounting hardware. The Garmin Striker 5DV has clear screen resolution at 800 x 480 pixels. The gadget will provide you with nice and detailed images. The anglers will not have any difficulty viewing the images and can be read easily regardless of weather condition. It lets you share waypoints through data cable. The Anysun is a company known for underwater fishing cameras for years. Anglers have been using this fish finder for ice fishing and open water fishing. The Anysun Fish Finder is the one for anglers who want to leave no loophole in catching the fishes underneath the ice. 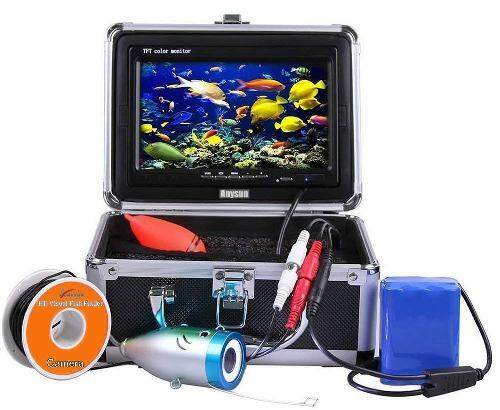 It has a 7 inch TFT color LCD HD monitor that provides you with a great experience similar to watching a documentary under the sea. Its camera has night vision so you can explore the sea underneath your foot night and day. The equipment is waterproof, and 15-meter cable is provided for better accessibility. This device is ideal for aquaculture and other fishing activities at day or night. Other features include color CCD and HD 700 TV lines of Camera, TFT color monitor, underwater video camera system, one-year manufacturer warranty, and others. The Underwater fish finder Anysun is perfect in exploring and monitoring the fishes underneath. It can be used while ice fishing, in the ocean or a lake and can be used while snorkeling and diving. Humminbird has made some changes on the traditional fishing gear, and it is impossible if you haven't heard about them yet. The price of this fishing flasher is worth it. The ICE-55 is more durable and lasts longer because it is made of high-quality materials and includes a case to provide more protection in the cold weather. The battery is of high quality as well and will last longer than expected. After 5 hours of using the ICE 55 only 20% has been used. The gear makes use of various sonar frequency channels so that it will not interfere with others fishing flasher. The Humminbird has a demo feature which new users will find helpful. 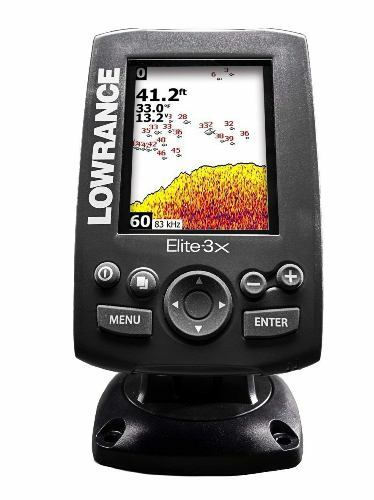 If you are in search of a reliable fish finder, Lowrance Elite - 3X is one of the best options. However, it may cost you a bit but not more than 500. You only need something simple that will help you out on fishing during cold weather. The Lowrance Elite is quite a minimal device. It has one type of sonar, and the screen is quite basic. You might have difficulty reading the screen. It is recommended that you bring along this fish finder during your practices before taking it with you on your important trips. You need to carry out some research to understand how the fish finder can help you. If you are looking for a simple and easy to use fish finder this is the one for you. 1. What is the best portable fish finder for ice fishing? GPS and lake maps are perfect and essential tools for fishing, and it is not possible to fish in icy water without the fish finders with such built-in features. The Garmin Striker 4 Portable is one of the recommended portable fish sonar. 2. What is the best way of mounting a portable transducer? Each unit is a bit different, but the conventional units will primarily use a suction cup mounted transducer. Just adjust the angle and then lock down the suction cup. You can use the best castable fish finder to tie to the boat with heavy braided fishing line or rope. 3. Is GPS required on a Portable Fish Finder? The need for GPS will depend on how serious you are about your fishing. Bank fishing does not require GPS, but it can be useful for custom lake maps. If you are fishing from a kayak or small boat, GPS is a must. Through this, you can mark hotspots so you can return to them at a later time. Check this article out if you are looking for fish finders specially made for kayaking. 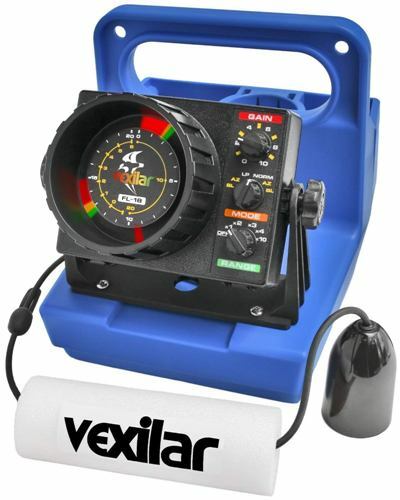 Among the 10 best fish finder for ice fishing we reviewed, we find the Vexilar FL18 GP1812 Genz Pack as the best. It has all the needed features anglers will be looking for in a fish finder. The gear can provide you a clearer view of what is underneath the water. It will help you find the best location for fishing day and night. We will rate this fish finder 4.8 out of 5 stars. If you think this review is helpful to you, feel free to share this post to others, or you can comment below.